Soaking in the sun on Miami Beach for the first time and I'm sure not to be the last. This beach is one of the most beautiful and quiet locations that South Florida has to offer. 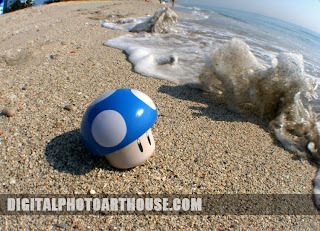 This snap shot is right before the waves came crashing down the traveling blue mushroom. At the time this picture was taken it was during an extended period when the Atlantic ocean was incredibility calm and clear, truly relaxing.